Accountants help companies and individuals deal with complex problems. These are related to maintaining and analyzing financial records, staying compliant with tax laws and regulations, and deciding on how to budget the company’s financially. Accountants can opt to specialize in a variety of fields. They could go for public accounting, where they would be required to consult with clients and ensure that they are meeting all legal requirements. They could also go for management accounting where accountants usually work directly for organizations planning their investment schedules and budgets. And then there is internal auditing, where accountants are req uired to make sure that a company’s funds are being managed appropriately. To become an accountant, you will need at least a bachelor’s degree. There are, however, some accountancy related positions that require merely an associate degree. In these work places, you might be required to perform some basic accounting tasks such as payroll. Many colleges offer different sorts of accounting programs at the bachelor’s level. The coursework revolves around covering fundamental topics in subject areas such as accounting principles, finance, economics, management, ethics and statistics. In addition to that, students are also exposed to accounting systems and tools like excel spreadsheet and databases. And for a more wholesome experience, some programs make it mandatory for students to take on internships to gain practical experience. If you are thinking along the lines of higher educational qualifications in this field, keep in mind that holding a master’s degree is usually not a requirement for entry level accounting jobs. However, many people take on a master’s degree or other graduate programs to advance their knowledge and enhance their existing career paths. 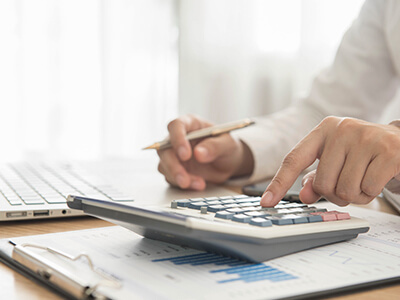 Besides educational requirements, there are also certain certifications and licensure requirements that you might need to fulfill on your way to become an accountant. Many accountants choose to become licensed as Certified Public Accountants (CPAs). These are accounting professionals whose jobs include tasks like filing reports with the US Securities and Exchange Commission. Even if getting this licensure is not a requirement for your job, it is still considered a big added advantage for people in this field. Each state has its own unique licensing criteria but all require CPA candidates to the Uniform CPA Examination. In most states, you might be required to complete nearly 150 credit hours of education in accounting and gain some relevant experience before you are licensed. Besides CPA licensure, there are also other licensing options as well. They might not be state-regulated, but professional accounting associations that offer them, are big names in the market. For instance, you can become a Certified Management Accountant via the Institute of Management Accountants or a Certified Internal Auditor through the Institute of Internal Auditors. These certifications help you gain knowledge in your specific field, making you more qualified than individuals with a bachelor’s degree only. Typically, when becoming an accountant, you will need a bachelor’s degree to enter the relevant job market. This degree would take around four years to complete. You can go on to pursue masters in accounting and finance as well, which would take an additional two years of your time. However, in most cases, people choose to go for an entry level job like a staff accountant, tax staff or junior internal auditor. And after gaining some experience in the professional world, these individuals start working on earning their CPA license. This is typically possible with around two years of experience. With three to six years of experience, you can move on to senior positions in your area of specialization. The US Bureau of Labor Statistics lists accountants in the category for accountants and auditors. For this category, the 2012 median pay is reported to be $63,550 per annum, with the number of jobs in the same year being 1,275,400. The growth in this field was expected to be 13%, which is as fast as the average for all occupations. And the employment change in the decade from 2012 to 2022 was around 166,700. According to the Bureau’s website, the minimum education required for a job in this sector, is a bachelor’s degree. Most accountants work in typical office settings, though there are some who might work from home. The nature of the work is rigorous. It can be very fast-paced and tiresome. Most of the work done is managed individually, but in some cases, teams might be created to handle difficult or high importance tasks. Accountants, especially auditors, might be required to travel to their clients’ places of business. If you are interested in finding out more about this field, there are several organizations that have all the information you might require. The American Accounting Association, the Institute of Internal Auditors, the National Society of Accountants and the International Federation of Accountants are a few organizations dedicated to the advancement of accounting and related fields and providing information to interested individuals regarding developments in this sector.